Submitted by Alexander Briones on Nov. 3, 2016.. The original SG may have failed to impress Les Paul, but it did impress scores of other guitarists, including greats like Tommy Iommi, Eric Clapton, Angus Young and many more. 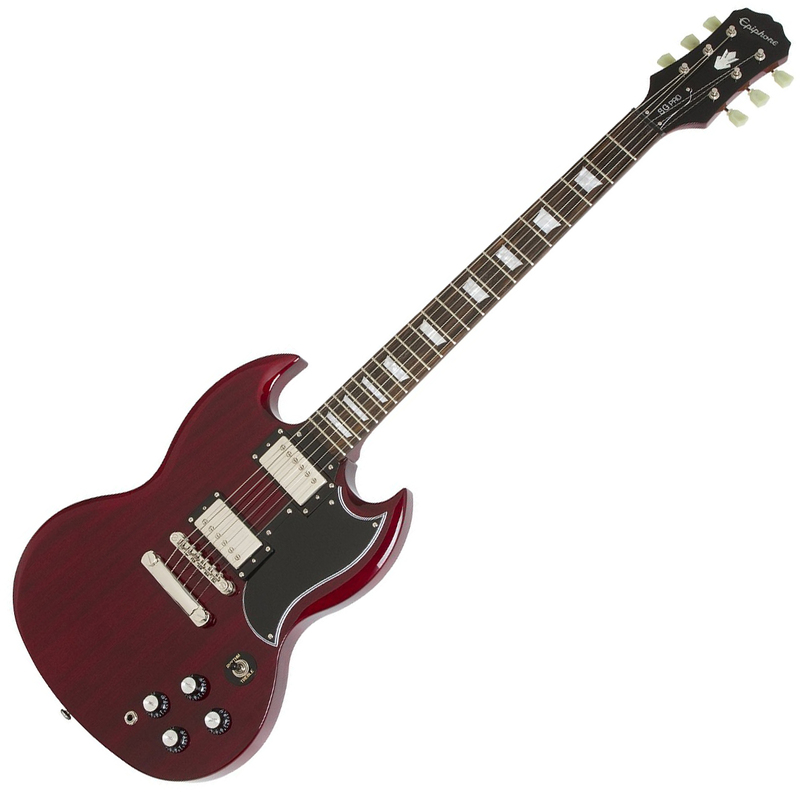 The Epiphone G-400 Pro is an affordable remake of the classic twin horn double cutaway shape guitar, albeit with modern enhancements meant to improve playability (via the SlimTaper D Profile neck), tuning accuracy and reliability (via the LockTone Tune-o-matic bridge) and expand its tone options (via its Coil Tapping enabled circuit). Most of the concerns raised by users point to the cosmetic finish related issues, however they are quick to point out that these issues are minimal and do not affect the way the guitar plays or looks. There were also a few who found issues with their tuning machines.